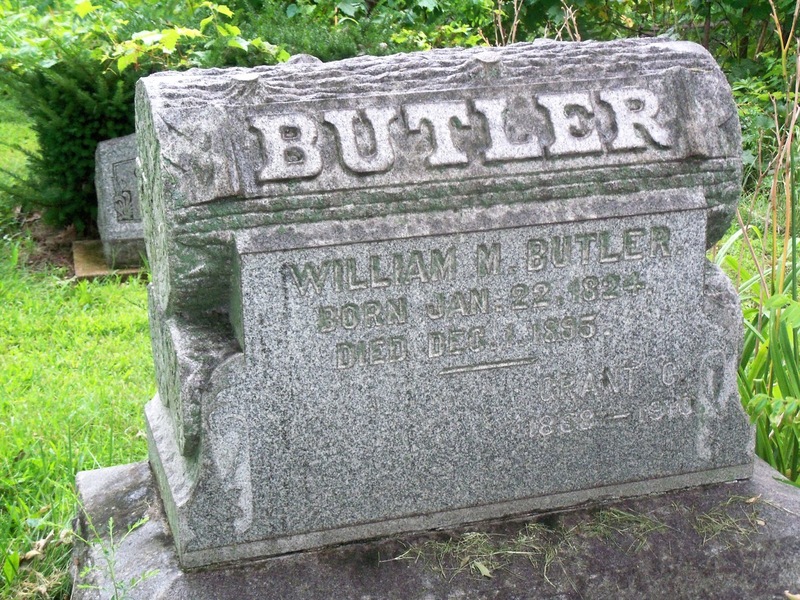 William Moulton Butler is a 3rd great-grandparent on my paternal side. I have written about William many times...he is one of those ancestors that is fascinating because there are many "possibilities" and no clear answers. The Butler family was originally from New Hampshire, then moved to New York. According to a biography on Altieri Butler's husband, Isaac Heustis, Nathaniel and Rachel Butler moved their family from New York to Chicago in 1837 where Nathaniel was in the hardware business. This was the same year that Chicago was incorporated as a city. William M. Butler worked with his father for several years in both a clothier and a hardware business. By 1849 William had struck out on his own with a hardware and tin business. I can find him in the Chicago city directories fairly regularly through the 1840s and 1850s. In the 1860s and 1870s I find him sporadically listed or I can not confirm that it is actually him. His occupation is always merchant and he is found selling clothes, hardware, tin and tobacco. At the residence of N. F. Butler, Esq., in this city, on last evening, by the Rev. F. Bascom, Mr. Wm. M. Butler and Miss Celia T. Bliss. Also, Mr. Seneca C. Bliss and Miss Betsy Lawson. According to "The Descendants of George Little who came to Newbury, Massachusetts in 1640" by George Little, William had four children with Celia. Sadly, only the two girls survived to adulthood. 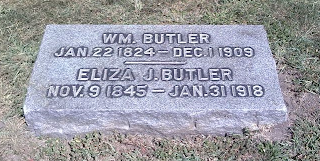 Celia Bliss Butler died in November 1865. And this is where the story gets hairy. On the 1870 census, William is listed without a wife and with five children. But remember, supposedly, only two of his children with Celia would have been alive in 1870. So who is the mother of the other three children? William Butler's 1870 census from Chicago, Illinois. Looking back again at the George Little family history, it appears that the mother of these children, and many more, is Elizabeth or Eliza Johnston. You can see that three of these children would have been born when Celia was alive. If they are indeed Eliza's children, William was an adulterer and a big jerk. Of course, we'll never know for sure. I have never found a marriage record for William and Eliza, though they were clearly not married until sometime between 1870 and 1880 (she is listed as his wife on the 1880 census). Why does this matter? It doesn't really, except for my second great grandfather, William M. Butler II, is one of the three children in question. William M. Butler, Sr., had some legal trouble with the children from his first marriage, which I have discussed in a previous entry. The long and the short is that he had to pay money to Willamena and Celia for misappropriating their inheritance. He was in the hardware business until the Great Fire in 1871. Soon thereafter William moved his family to Hobart, Indiana, just across the state line from Chicago. William is listed as a farmer in 1880, but I have found no land records for him. I have no information on William between 1880 and his death. Even in death he is a conundrum. He has two headstones. The first is in the Hobart Cemetery in Hobart, Indiana. Several of his children are also buried here. The second headstone is in Graceland Cemetery, Chicago, Illinois. 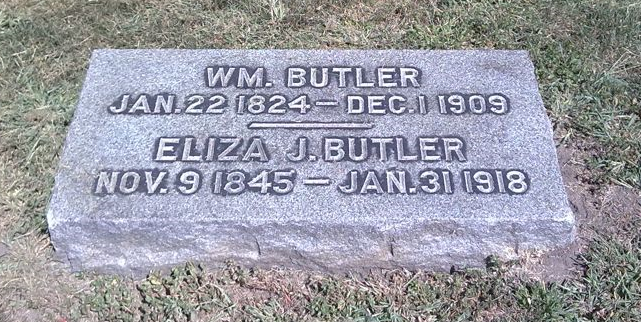 Note that the two headstones list different dates of death: December 1, 1895 and December 1, 1909. Quite a spread there. However, based on his obituary he died in 1895. And based on records from Graceland I believe that he is actually buried in Hobart Cemetery. His obituary reads as if he were a very stern man that only showed his softer side to a very few. I do know that his oldest son, William (my second great grandfather) was out of the home by 16. But that could be for any myriad of reasons. William Butler Sr.'s obituary also states that he was a spiritualist and the funeral speech was made by "the eloquent Cora L.V. Richmond, of Chicago, one of the most brilliant leaders of the Spiritualistic exponents in America." Still more to explore with William. 3. Try to find more information on William between 1880-1895; Start with local newspapers. Little, George Thomas. The Descendants of George Little who came to Newbury, Massachusetts in 1640. Rachel Little genealogy, pp. 171-172. Published by the author. Auburn, Maine. 1882. Calumet Book and Engraving Co., Album of genealogy and biography, Cook County, Illinois (with portraits). 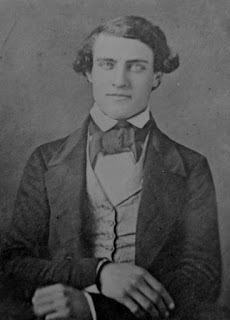 Isaac Heustis biography, pp. 474-475. Chicago, Ill. 1897. Wow! What a mystery. You could find perfectly plausible explanations... or you could find he was, like you said, a big jerk! Sally, it is that indeed! I plan on doing some more research on the legal side of things to see if I can't track down some answers. For now, though, I believe that Eliza is my 3rd great-grandmother. I like your analysis of this and humor included. The mystery keeps you going for a while. I hope that you find the answers. I might just need to borrow your graphic or at least the idea. Did you do that in PowerPoint or some genealogy software that you use. Heather: Both Moulton and Bliss are old New England surnames from Massachusetts (Rehoboth) and both are in my genealogy. Lucy Bliss is my 4th great grandmother. Elizabeth Moulton is my 5th great grandmother. I have more information I can share with you about both families. Thanks, Revis! I reached out the Unitarian church he might have gone to, but they don't have any early records. They suggested I try the local historical society, so we'll see what that brings up! John, that would be great! I knew you had Bliss connections, but I did not know you had Moultons in your tree. I've been trying to determine the significance of that name for this line, but haven't found the connection. Maybe you'll have the missing link!